Jazz. Truly a music genre for all seasons and every occasion, jazz is the dream ticket of events entertainment. Few, if any, types of music are so adaptable and versatile. Jazz suits the classiest of weddings. It’s ideal for themed events and parties. Raucous gatherings and decadent speakeasy shindigs cry out for it. Jazz is even a superb match for a funeral. Indeed, you’d be hard-pressed to find a better send off to a loved one. However, with so much choice and all this variety, where do you start? Well, if you want to know everything about hiring a jazz band you’ve come to the right place. Here’s your essential guide to hiring a jazz band. 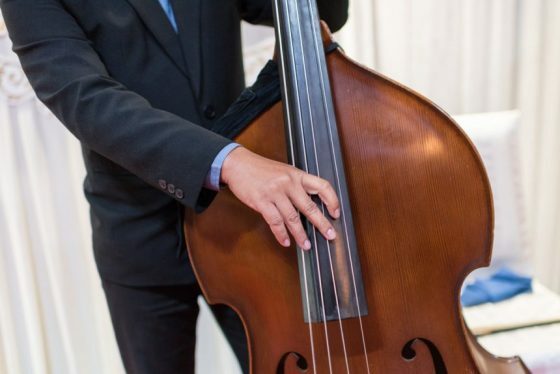 Learn about all the different styles of jazz music Pick up some great tips to make sure you hire the perfect band for your event. So, sit down, grab a coffee, read on and enjoy. Unless you are a real jazz aficionado and connoisseur of cool, this can get confusing! Fear not, we are here to help. Jazz is sassy, sultry and sophisticated. But it can be decadent, down and dirty too. So, what are all the different styles of jazz to choose from? First on the list is ragtime. This is where it all began. All jazz music of the twentieth century leads back to the heavily syncopated beat of ragtime jazz. The African influence is everywhere and the sound is one that oozes from the soul of black emancipation in the southern states of America. Piano rules the roost with ragtime. Talking about musical evolution swing really became popular following the end of prohibition in 1933. This meant that jazz could move the underground basements of the speakeasies to ballrooms and larger halls. The big band sound was born. Bebop began as something of a novelty in the 1940s. However, with icons such as Charlie Parker spearheading the sound it shaped the way for the modern jazz sound. Up to the present day, jazz influence permeates many styles of music. Nu Jazz is the genre that blends jazz with electronica and dance beats. So, the first step of hiring a jazz band begins by choosing a style that suits your tastes. What would be a good match for your event? What tickles your fancy? Of course, choosing the perfect jazz band isn’t just a matter of musical taste. The music you choose must match the event. There are no rules but jazz tends to work best when you want to convey a traditional atmosphere. Furthermore, if the ambience you want is class and elegance, a jazz band is ideal. A jazz band can provide the musical soundtrack throughout a wedding day. One idea would be a parade band. This is perfect for vintage receptions. Speaking of parades, a funeral jazz band leading mourners in a procession is a superb way to celebrate the life of a loved one. Black-tied events: corporate parties, awards ceremonies or product launch. They all spring to mind as excellent partners for a jazz band. A themed-party – Peaky Blinders, Prohibition, or Great Gatsby – is another of the many events that a jazz band is ideal for. A choice is great, of course, but sometimes is it possible to have too much choice? There are so many options that it can be a bit daunting at first starting your search. To make it easier, consider these important points. Any jazz band worth its salt these days will be promoting themselves online. Check out online reviews as these will give you a great flavour of what you can expect with a particular act. But, ultimately, you don’t just want to read about a jazz band. You want to hear them play. Devour any video or audio clips that an act has. This is what you’ll be getting, after all. Don’t forget that it’s often the little details that make all the difference. Check that an act is fully insured and certified. Many jazz bands for hire offer various line-up options. From duos and trios to big band size. Typically, the larger the band, the larger the price tag. It’s your budget and the type of event you are planning that will dictate your choice. A cocktail party calls for a basic 3-piece. A larger band is perfect if you want your guests to be up on the dancefloor all night. Once you’ve chosen your act and you know the date of your event, simply reach out and make contact. It’s always best to do so at least a couple of months in advance. Any reputable act will be happy to discuss special requests and most will do all they can to accommodate you. Use this guide to help you and remember, Silk Street are also happy to help and offer advice too. We can give you personalised recommendations. The Jazz Spivs are our resident 1920s specialists, but we have all types of jazz acts to choose from. Our years of experience and expertise in hiring a jazz band & events entertainment will make your search for a jazz band to hire seamless and stress-free. Good luck with your search.